Ripple is often lumped into the same category as Bitcoin. However, in reality, the two coins are different. They use different technology and they are aimed at different markets. Ripple was released in 2012 – originally called Ripplepay. It is not surprising, therefore, that people assumed that Ripple was another payment transaction tool – in the mould of Bitcoin. However, Ripple is a real-time gross settlement system (RTGS). It uses a common ledger – which is independently validated – to facilitate international transactions. Ripple does not rely on energy and processing power like Bitcoin. Instead, Ripple is a shared public database that makes use of consensus between validating servers. The servers can belong to anyone – from an individual to a bank. Bitcoin is a peer-to-peer transaction method – decentralised and therefore out of the control of banks and governments. There is no third party involved in the transaction as such – just a bunch of miners – who can be anywhere in the world – organising blocks of transactions and adding them to the chain. XRP is not powered by blockchain technology. Instead, it uses HashTree to summarise data into a single value, which is then compared across validating servers to provide the necessary consensus. SWIFT stands for the Society for the Worldwide Interbank Financial Telecommunications. This is a messaging network between financial institutions, which allows for the secure transmission of information and instructions. In short, it is how banks transfer money across borders. Each organisation involved is given a unique code. This is its BIC – bank identifier code. Each individual within each bank has their own SWIFT code. With the BIC and SWIFT code, a person in Washington can send money to a person in London, using the messaging system. SWIFT itself does not manage money or hold any value whatsoever. It is just a means of securely messaging instructions between banks. SWIFT is ironically quite slow – it was called SWIFT as a nifty acronym – but also because it was markedly quicker than TELEX – its predecessor. TELEX needed human operators to process the messages – which slowed the process and led to many errors. SWIFT offers many services beyond the transaction of money across international borders. It can also deal with BI, compliance, software solutions and more. It is used by more than 250 banks across the globe – and remains a cooperative society owned by these members. Despite this, each transaction incurs a fee. Why would banks choose Ripple? Ripple is a means of transferring money across international borders at a cheaper rate and in a faster time. In fact, Ripple’s business model claims it can make the transfer of money across the globe free. Customers of a bank seeking to send money abroad would have no idea how this is done – so for a bank – choosing Ripple – means it can offer a better service than with SWIFT. Ripple can also be used for the transfer of funds within a country’s border too. Ripple can process 1000 transactions per second and can complete an international transaction in 3 seconds. This compares to up to three days with SWIFT. This is also quicker than Bitcoin – which can be as slow as two hours per transaction. The issue? SWIFT is owned by its members. This means that Ripple is seeking to compete with the banks own in-house system of sending instructions. So, how realistic is it that banks, Ripples primary target audience, would want to switch? Early in 2018 The National Bank of Abu Dhabi (NBAD) announced that it would be using Ripple for payments. This is considered a massive legitimising force for the platform and for blockchain-like technologies. NBAD, the first Middle Eastern bank to make the move to Ripple, claimed it made sense to use Ripple as it gave its customers an efficient, secure and reliable channel for the immediate remittance and payments between regions. It also made all transfer transparent, addressing a major trust issue that some banks have been facing. Although this will make the SWIFT technology largely redundant, banks are likely to recognise the importance of real-time free transfer over any loyalty to its own antiquated systems. Offering customers the best service will always be the best business model for a bank. There may be risks with any new technology, however there are obvious benefits in being amongst the first hundred or so banks across the world to adopt this innovation. The bank looks to be at the cutting edge of the world’s financial systems – and it will be able to offer much quicker and cheaper services than a rival. The benefits clearly outweigh the risks. What is the impact of Ripple on cryptocurrencies? The success of Ripple could lead to a widespread commercialisation of blockchain-like technology. 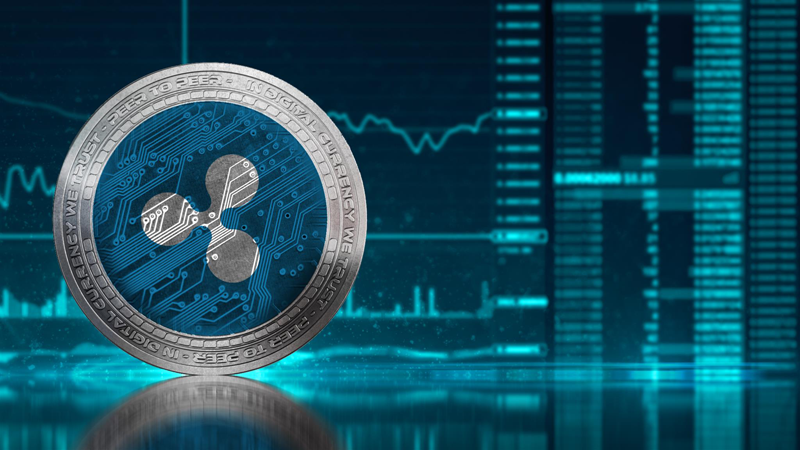 Ripple offers large institutions a service that is a viable business model – a valuable tool for real-time international trade. In some respects, Ripple is breaking the mould of cryptocurrencies. It is different in two vital ways – first, the large proportion of Ripple coins are held in the hands of a small group. Therefore, it is a centralised currency. Second, it is seeking to support the world banks, not disrupt the world banks. The original ideology of blockchain was to take out this third-party – to made redundant the financial institution in the middle of all financial transactions. Therefore, Ripple is an outlier, a rebel to the cause. However, no cryptocurrency is the same. People may chunk Bitcoin, Ethereum, Litecoin, Cardano, NEO, Ripple and more in the same category – but they all offer different business models. Bitcoin is a peer-to-peer transaction tool, Ethereum is a means of developing decentralised applications and exchanging smart contracts – and Ripple is a tool for international cross border payments by financial institutions. The technology is not defined by the ideology that drove its invention – it is defined by the imagination of people who put it to use.